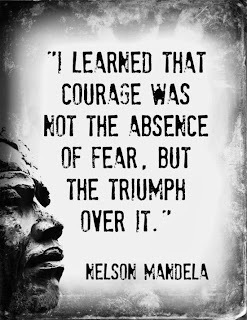 With the passing of Nelson Mandela this week, I'm taking the opportunity to talk about current events for a few days with my students. Using these current events in sessions is so important to me. Typically our special needs students don't pick up on as much incidental learning as their peers. Current events are one of the areas I notice my kids need direct instruction and extra discussion or they will not engage. 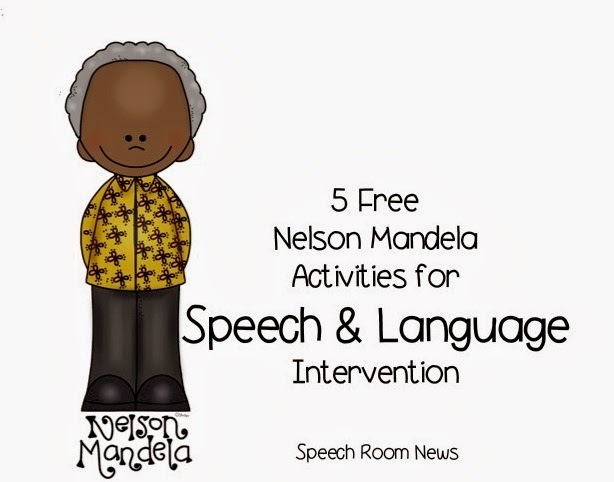 I wanted to share 5 free resources I found this week to use with my students to discuss Nelson Mandela during speech and language therapy. 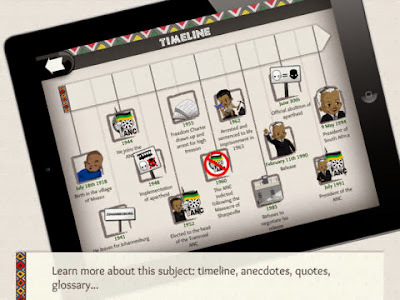 The first app, Mandela-History, is currently free from Quelle History. 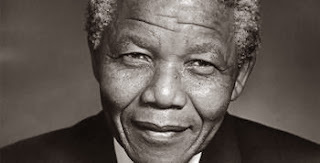 It has a cartoon story of the history of Mandela's life. There is even a comprehension quiz! It also has a map and interactive learning games. This app is fantastic! 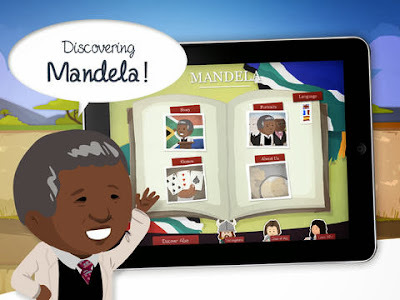 The second free app I downloaded this week is called Mandela- stories and games. In this one I love the real picture included in the story and the timeline activity. It's more appropriate for older students. 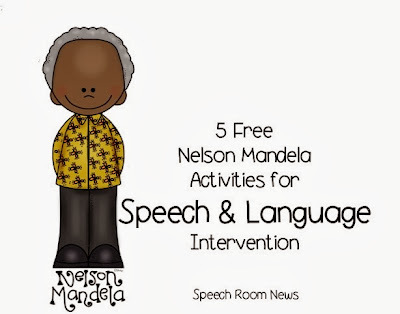 There are also a few activities I downloaded for free from TPT. Mandela Reading Comprehension for 3-5th grade from Rick's Resources. This Cloze Reading activity, by Caroline Crow, is a great activity for middle school or high school students. With my younger groups, I'm going to use this coloring sheet and discuss the South African Flag. We will use it as a compliment to any of our articulation or language goals by 'earning' crayons! For example, for every 10 artic words, they will earn one color to color their flag. 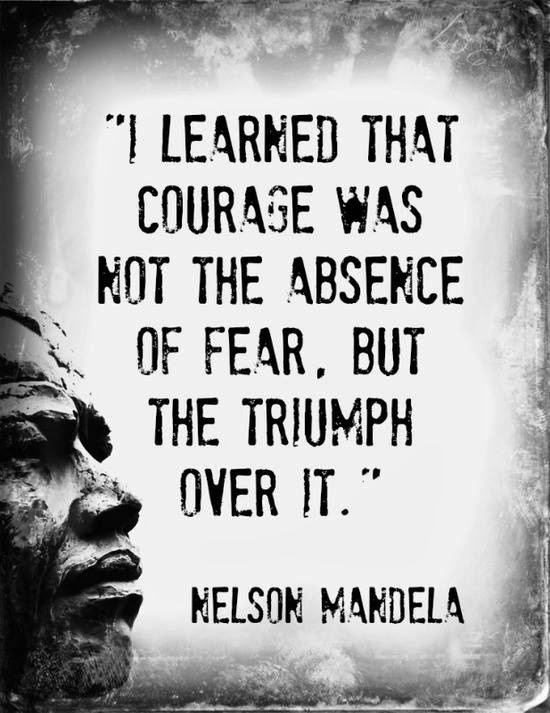 Are you discussing Nelson Mandela this week? 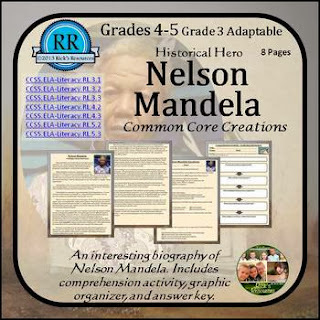 How are you conveying his significance in history to your students?